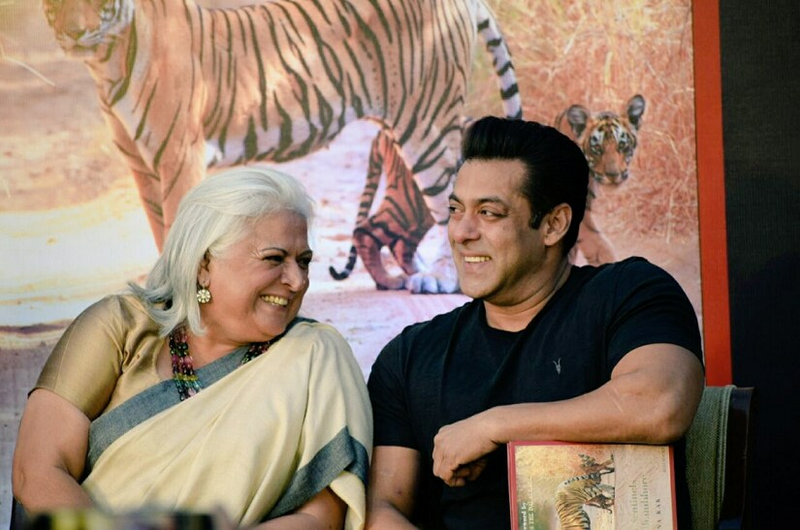 Bollywood actor Salman Khan launched photographer Bina Kak's book Silent Sentinels Of Ranthambhore on 13 December, terming it a "great book". "I think it is a great book because I have seen all the pictures much before they have released. All the pictures are really nice and beautiful," he said in a media interaction. "I don't understand whether we are here promoting Tiger Zinda Hai or her book. "It had happened earlier, I was doing Sultan with Ali Abbas Zafar, we were planning on going to Ranthambhore, at that time Bina issued a book on a tiger named Sultan, but the plan didn't work out. Now Tiger Zinda Hai is coming and her book is also releasing at the same time," he said. "Every time Bina Kak visits a jungle, my life turns into a mess. She sends me 50 photographs every day. So I am like this is good, incredible, I would send her long messages but, in time, it went from 'very nice' to 'nice' and then 'hmm' and eventually I would send her only 'K'," he added. Salman Khan will be next seen in Tiger Zinda Hai opposite Katrina. The film, helmed by Zafar, releases on 22 December.